“Japan’s blondes vanish as women turn to dark side,” Reuters reports today. Kjeld Duits: @Dustheap: I don’t think the reporter was actually correct when she wrote that straight hair black hair is considered unflattering in Japan. That is why I commented on the article. I am sure there are lots of people who think so, but they are definitely not a majority. Having said that, I think you always have the The grass is always greener on the other side of the fence thing happening, people wanting things they don't, or can't, have. Dustheap: It’s so strange that straight hair is considered unfaltering in japan, yet in America everyone wants that flat ironed hair look… I see people with wavy hair, yet it seems that more people want straight! 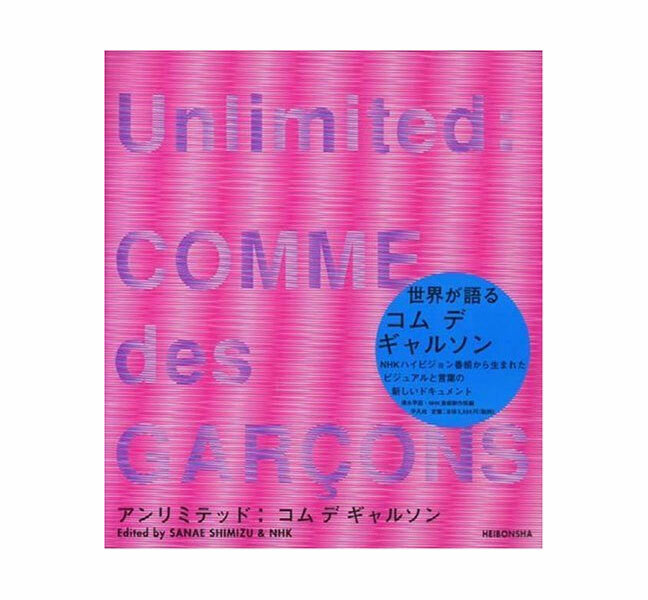 Heibonsha Limited Publishers has published a book about famed Japanese fashion label Comme des Garçons. Yocelyn: Hello, I would to ask where may I buy the book of comme does garçons here in US? Thank you very much. meee: haaa haaa funnnnnn lol ciaoo babbbyyyyyy!!! With a psychedelic catwalk show this morning Kyoko Higa managed to wake up a rather jaded Japan Fashion Week. In a radically different atmosphere, Zin Kato released their ZIN KATO/CUP labels. In a decidedly mature collection Toru Kato and Misako Hayashi established that they can deliver a diverse array of clothing from original jumpsuit creations to evening wear.